You said it, Mr. James. I’m sure most of us would rather be thinking about fireworks, beach trips and cookouts on these summer afternoons than worrying about what to plan for dinner, right? Here we aim to make that planning easier for you, while also promoting the idea of freedom of choice with food—just in time for Independence Day! Below you’ll find tips for simpler meal planning using the USDA’s innovative ChooseMyPlate tool, three ways from three chefs to make summer green beans, and a fun selection of games and activities (as always) from which to choose. Our conversation starters for this month aim to get discussions going around the idea of independence and all that that means to you and your family. Enjoy! Explain how MyPlate works to your children: There are five categories of food to choose from (dairy, protein, grain, fruits and vegetables). Picking foods from each of these groups is about creating a healthy balance and getting the energy you need for a day. In order to create some “go to” meals, let your kids choose things they like from the lists, and write them down on a picture of a plate (download ours, or make you own). You may need to help your kids understand that they cannot have a whole plate of starch, but must also choose fruits and veggies. Once the plates are all filled, post them in the kitchen for reference. Create a weekly dinner ritual. For example, maybe every Sunday your kids invite friends to dinner or to dessert. Sundaes, anyone? Check in regularly with your kids to make sure the list still holds. Young children’s tastes can change, and that can be frustrating. It’s better to know before you start cooking rather than after. These tips come from our do-it-yourself program, Food, Fun and Conversation: 4 Weeks to Better Family Dinners, scheduled to launch very soon. We’ll keep you posted! If you’re a string/green bean fan, you likely love this time of year, when green beans are fresh and plentiful. High in lean protein, green beans are easy to grow in your garden, or to buy at farmers markets and grocery stores. They’re also low in calories, high in calcium and a good source of dietary fiber and many other vitamins and minerals (making them good for your immune system, too). This month we decided to do something different in our recipe section. So we asked three of our favorite chefs to share the recipe for their favorite green bean side recipes. Exercise your freedom to choose by trying these three recipes and picking your favorite. And all are simple enough that your kids can help out, too! Green beans are also known as snap beans because of the snap sound they make when they are broken. 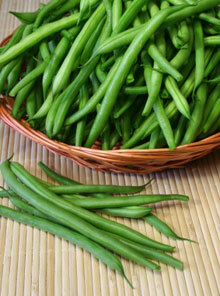 Green beans can be used as a side dish or a quick snack- and you can even eat them raw! This recipe is as simple and delicious as it gets! An old trick of mine is to serve fruits and veggies all nicely cut up into bite-size pieces. It is amazing how people will eat what is put in front of them! This is an easy summer salad that serves as a good way to get delicious and nutritious vegetables into your family! Great-grandmothers around the world know that by simply adding a touch of sweetness to vegetables, kids will eat them. I’m not a fan of sugaring up your salads, but then again, kids (and grown-ups!) eat what tastes good to them—and a little sweet or salt does taste good! These fast and easy green beans have both the natural sweetness of orange and a bit of salty punch from soy sauce, plus the crunch factor of sesame seeds to make them extra appealing for eaters of all ages. Feeling competitive this summer? Try your own version of The Food Network’s show “Chopped.” First, if you have enough people, break into teams. Let’s say, for example, mom and daughter vs. dad and son. Then each of you chooses three or four food items that the other team has to work with to create a “masterpiece.” It can be a main course, dessert, an appetizer, etc. Set the timer for how long you want (we suggest 15 to 20 minutes) and GO! Or, let mom and dad be the judges and the kids, if old enough, compete against each other. You can, of course, adapt these instructions to suit the type of foods you have to work with, the age of your children, or the number of people in your family. Your game, your rules! This game was submitted by our first contest winner Juliet M. of Arlington, Mass. She says, “We pick two people (e.g. Nana or Grammy) and ask questions where only one of them is the right answer. (Which one got married when she was 19? Which one met her husband in California? Which one has seven brothers and sisters?) This also involves me drawing out the words “Whiiiiiiichh oooooonnnnneeeeeee…..” in a very dramatic fashion.” Give it a try tonight! What’s your family’s favorite game? We want to feature one reader’s game suggestion in each of our future newsletters! Email us! If your game is chosen, we’ll share it in our newsletter (and give you credit of course), as well as send you a fashionable and eco-friendly tote bag from The Family Dinner Project! Each month our Conversation section offers questions designed to inspire kids and parents to think through meaningful topics, and spark family discussion. 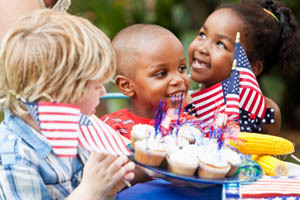 This month, in honor of “Independence Day,” our questions focus on what independence and being independent mean to your children, and your family. What kinds of things do you like to do by yourself? What kinds of things do you like to do with others? What does it mean to be independent? Can you be independent, but also rely on others? What does the 4th of July mean to you? 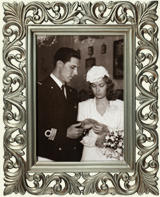 Do you have any particular traditions associated with this day? Do they have anything to do with independence? Also, is there any food or activity you’d like to add to your celebration? What do we gain and lose from doing things ourselves versus doing things with others? Do you prefer to work with others, or work alone? Why? Think about the American Revolution (or “War for Independence”) and compare it to other struggles around the world (historical and current) for independence. What are some similarities and differences? Looking back on your life so far, talk about a time when you exercised your independence—perhaps going against what others believed or wanted for you. What was that like? Would you do it all over again?